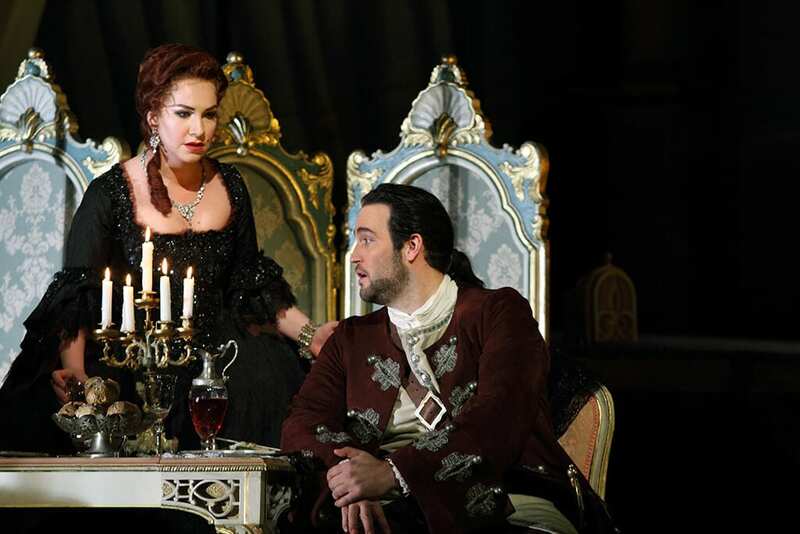 David McVicar’s production of Francesco Cilea’s Adriana Lecouvreur, an accomplished and theatrically engaging opera, can be summed up as a triumph. In addition to a largely powerful performance by most key members of the cast, the Royal Opera Orchestra was on top form under the baton of the Israeli conductor Daniel Oren, and the evocative sets by Charles Edwards were brilliant. 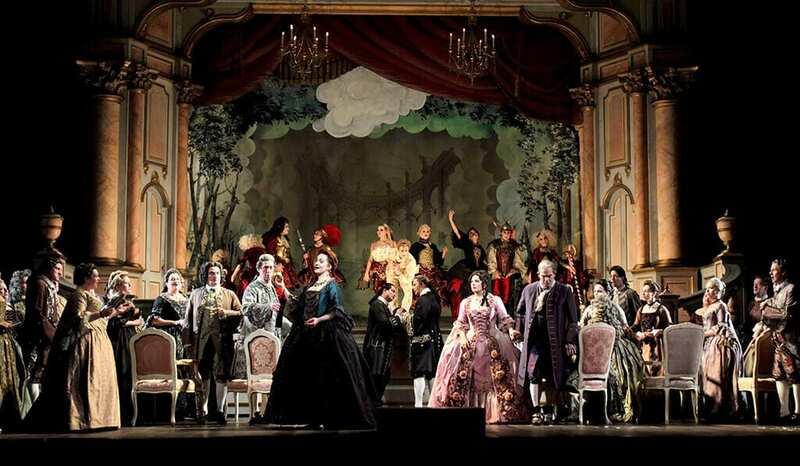 Until 2010 Adriana Lecouvreur was not in the Royal Opera House’s regular repertoire. The success of David McVicar’s imaginative production, with the star soprano, Angela Gheorghiu in the title role, has stimulated and renewed interest in this somewhat underrated opera. 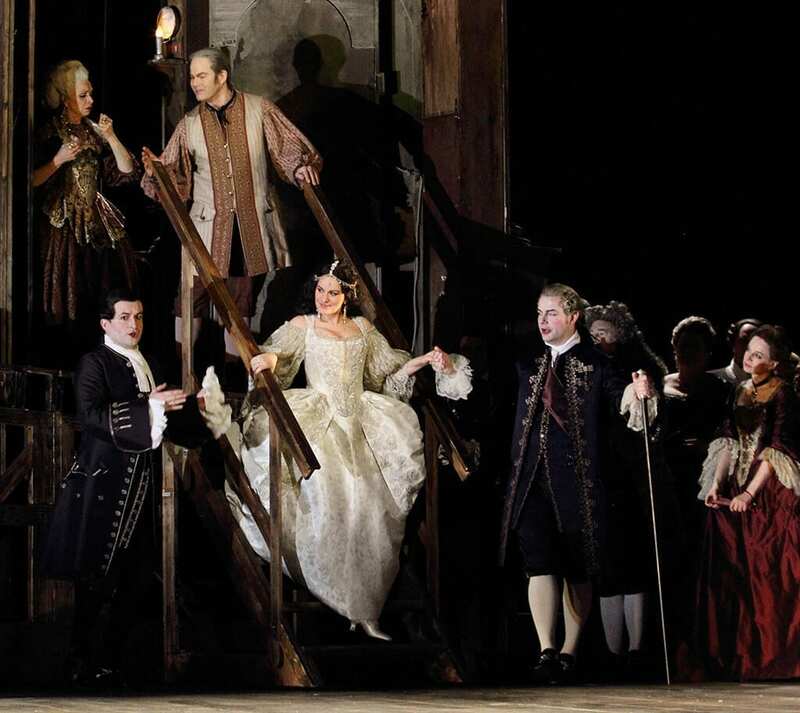 This year Gheorghiu, celebrating 25 years since her first debut at the Royal Opera House, is back in the title role, singing as ever to a full House, and what a treat it is to be able to enjoy her still wonderful voice and her subtle and moving portrayal of Adriana, the actress whose love for a nobleman leads to her downfall. 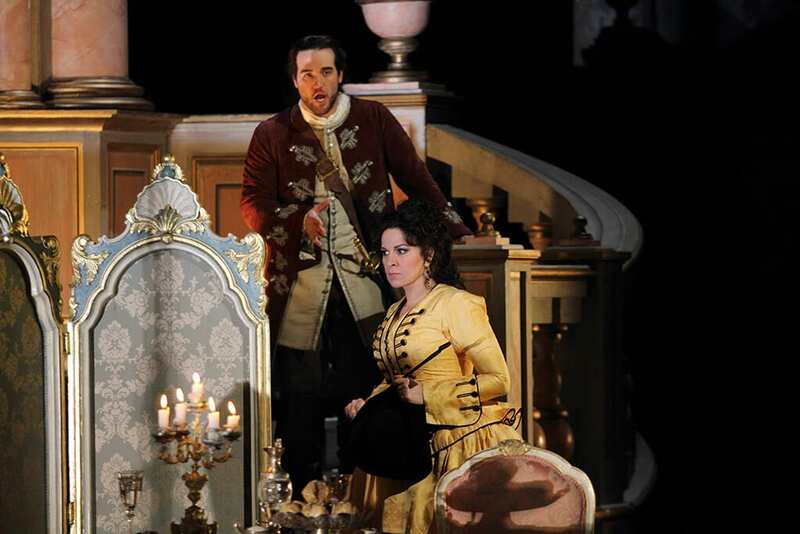 The opera is set in Paris in 1730 and the storyline is based sketchily on the life of the 18th century actress Adrienne Lecouveur, who is remembered more for her mysterious death than for her fame as a great actress. 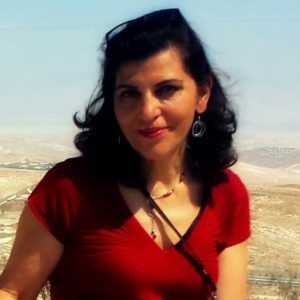 A love triangle, involving passionate love, jealousy, betrayal and even murder, is at the heart of the unfolding tragedy. It all starts backstage at the Comédie Française, where actresses are preparing for a performance. The director of the theatre, Michonnet, is secretly in love with Adriana, the actress he hope to marry. 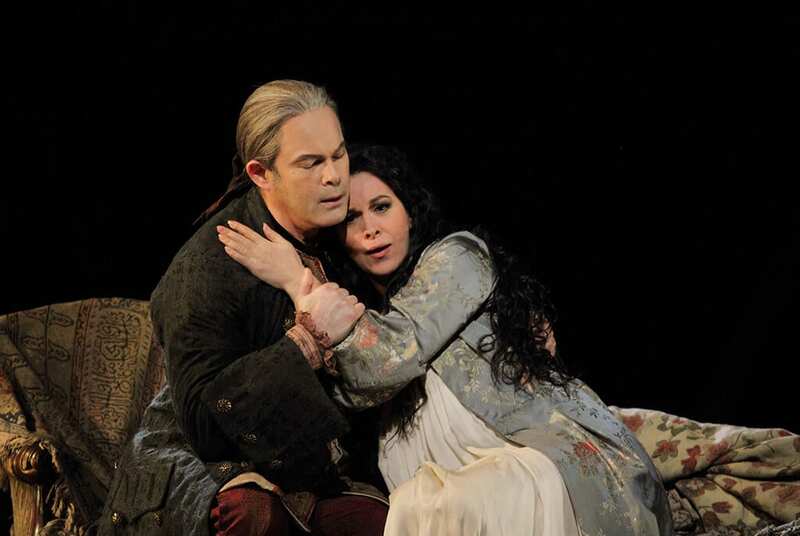 The Canadian bass-baritone, Gerald Finley offers a characterisation of the yearning suitor that is beautifully and subtly drawn. His reticence and stop-start address to Adriana unsettle the melody and evokes sympathy. Gheorghiu’s Adriana is thoroughly engaging both dramatically and vocally. Her imperturbable Adriana, in Act I, a young woman immersed in her art “Io son l’umile ancella” (I am a humble servant to the arts), but also wrapped in love for Maurizio Count of Saxony (Brian Jagde) is gently portrayed with a touch of innocence. From Act II to the end of the opera Adriana is consumed by jealousy and a sense of betrayal and loss. The natural way in which Gheorghiu evolves in the role from a carefree maiden to a bitter and disillusioned woman is a reminder, if one is needed, of what a consummate artist she is. The superlative Uzbeki mezzo-soprano, Ksenia Dudnikova, as Princess De Bouillon, Adriana’s rival, is an impressive challenge. The married Princess is emotionally volatile and entirely focused on romantic passion for Maurizio. The opening aria in Act II “Acerba voluttà, dolce tortura” (Bitter pleasure, sweet torture), exposes the Princess’s ferocity; vulnerability, tenderness and girlish excitement that make the audience appreciate the depth and sincerity of her love for Maurizio. Brian Jagde, an American tenor with the ability to make his voice grow with astounding accuracy, superbly sings the wayward lover Maurizio. He sometimes sacrifices sweetness of tone for volume but always providing a credible focus for the rivalry of the two women. Dramatically, the passionate love between him and Adriana is tinged with a light chill. The Prince, Bàlint Szabó, a powerful bass, offers as entertainment for the party a ballet on the Judgment of Paris. McVicar’s direction and immaculate attention to detail (even the heals of the aristocrats are painted red, befitting the period!) of this ploy of play within a play, is an art form in itself. In the final Act, the dancers peering down at Adriana’s body in her lover’s arms, is a final tribute to the woman whose fame was her art and death. 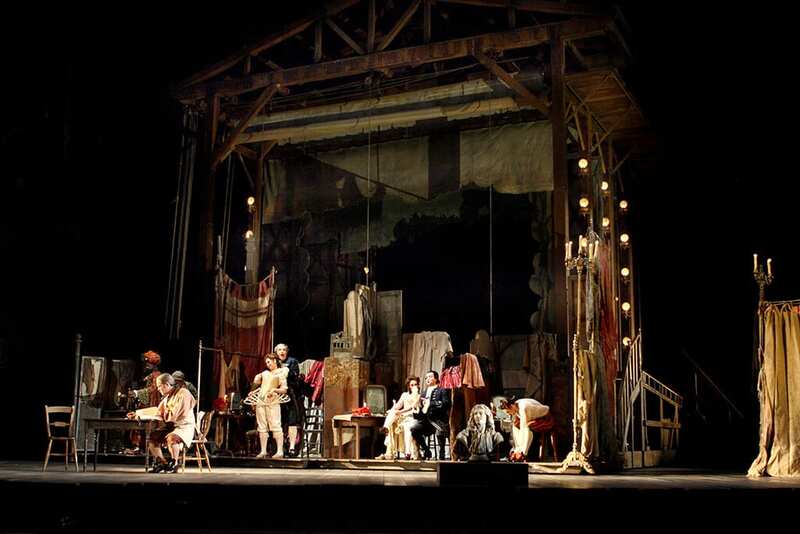 This is an opera with much to commend it but without the special quality that would set it apart – it has a less than convincing plot and the act of murder is far-fetched. But in the hands of the very best performers it can succeed – in this fine ROH revival we have the best performers on top form.